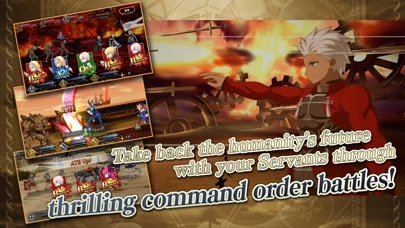 A new mobile "Fate RPG," presented by TYPE-MOON! 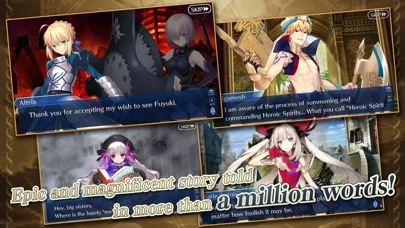 With an impressive main scenario and multiple character quests, the game features millions of words of original story! 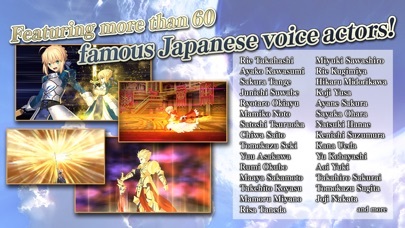 Packed with content that both fans of the Fate franchise and newcomers will be able to enjoy. Summary 2017 A.D. Chaldea, an organization tasked with observing Earth's future, has confirmed that human history will be eliminated at 2019. Without warning, the promised future of 2017 disappeared. Why? How? Who? By what means? AD. 2004. A certain provincial town in Japan. For the first time ever, a region that could not be observed appeared. Assuming that this was the cause of humanity’s extinction, Chaldea carried out its sixth experiment - time travel into the past. A forbidden ceremony where they would convert humans into Spiritrons and send them back in time. By intervening in events, they would locate, identify, and destroy the space-time Singularities. 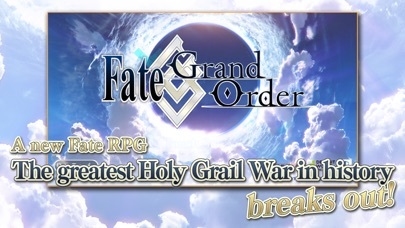 The mission classification is an order to protect Humanity: Grand Order. This is the title for those who would take a stand against human history and battle fate in order to protect mankind. Game Introduction A command card battle RPG optimized for smart phones! Players become Masters and together with Heroic Spirits, defeat enemies and solve the mystery of human history's disappearance. It's up the players to form a party with their favorite Heroic Spirits - both new and old. Game Composition/Scenario Direction Kinoko Nasu Character Design/Art Direction Takashi Takeuchi Scenario Writers Yuichiro Higashide, Hikaru Sakurai Required operating system: OS compatible with iOS 10.0 or higher. Enabled devices: iPhone 5 and higher, iPad 3rd generation and higher, iPad Mini 2 and higher, iPod touch 6th generation *Please confirm system requirements on home page instead of from the App Store compatibility. *Incompatible with iPod touch 5th generation and lower, iPhone 4S and lower. 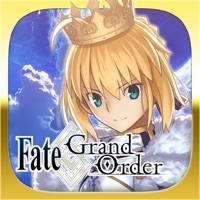 This application uses "CRIWARE (TM)" from CRI Middleware Co. Ltd.
First of all,FGO is a really great game and i do like it a lot.I don’t plan on deleting it any soon but after the new Fate CCC event release and after updating,the game crash every time i open the BB quests list.I’m using an Iphone 6 and i rarely gets crashes in game,even if my phone overheat.Already cleared the cache and tried various methods,but it still crash to the point that its unplayable.So i hope the devs can fix this problem ASAP cause i want to finish the event without crashing every 5 minutes. This game is awesome but I hardly get the characters I’m aiming for and a good majority of the characters have abilities that can stun one or all of your characters at once which is unfair and they can also one hit kill your characters with their noble phantasms which is annoying. My advice to you is nerf your characters immediately so it’s not so annoying. The app already had issues with occasionally crashing. But with version 1.27.0 (BB event, etc) it has already crashed 10 times in less than a day. I'm on an iPhone 6. I redownloaded the app like the screen said to and I lost everything. I had just made it to the final singularity. I had multiple 70+ lvl spirits. I had a lvl 85 Medea, Rama, Archer (Shiro), Atalante, Gorgon, Ruler Martha, Lancelot (Beserker), and so many other spirits. This is the second time that the app made me delete the game to try to play and it screwed me over again. I won’t be downloading it for a third time. Love the game but glitch? The game is amazing and I love playing it however after the newest update, the game continues to crash after each battle. Idk if the update screwed over the app but I find it pretty difficult to play the game with it crashing so many times. Title. I don’t know what happened but recently it always crashes and forces me to start the game back. This is very annoying especially when you’re farming or doing the events. Lovely game, but run while you can. 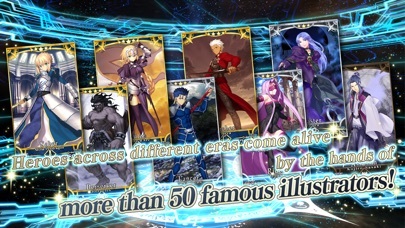 I’m a big fan of the Fate series in general and so far the game has gifted me with my eyeshine-meme pick (it’s Enkidu for those curious), but the gacha gods have their long, graspy fingers into my wallet now and they aren’t letting go. YOU WILL roll. YOU WILL whale. YOU WILL not get your waifu. Save yourself while you still can and just look up the story cutscenes on youtube, because if not, Cockwizard WILL swoop in and leave with all your hard-earned quartz. If you’re still interested in the game, I’ll spare you the 4 paragraphs of salt about getting jerked around by Merlin and just get to the point: - try to finish E Pluribus Unum or Camelot before you render judgement on the story, writing in singularities 1-4 is no bueno. - Save your quartz for servants you really want. I mean *really* want. - if you use Chloe (when she comes back in 2021) delete the game. It freaks out every five minutes trying to do anything. Incredibly difficult to remain patient with because there are so many menus to go cycle through in the CCC event. Cleared my cache but it still performs like poo-poo. Good game with a great story, however it has 2 major cons. First, and the lesser of the two cons is a new trend to have events that are only accessible to those who have completed the final chapter in the main story. The biggest issue with the game is its atrocious summon rates which seem to have gradually gotten worse over time. This essentially makes the game pay to win. You grind the game and know that it’s a money grab. But you still play it for satisfaction. And if you are coming in, then you will have a hard time getting out of this mess of a game.